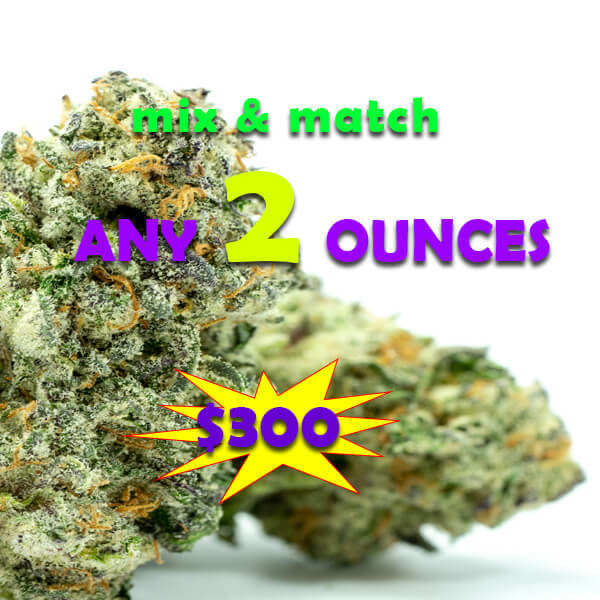 Choose any 2 ounces and get them for $150 each! Act now and get the strains of your choice before they are all sold out. Selection is limited so hurry up and buy now! For 5 bucks a gram . Probably the best value for sativa. Decent taste and a slow burn. Amazing Deal and really happy with my purchase – master kush! Love HA! Bud was excellent quality and for the price hard to be beat. Will be taking advantage of this deal again for certain! A great price! One of my strains burned black & kinda harsh tbh.. the other was great though! Great deal. Top shelf product for a fair price. Purple space cookies is a high recommend, great color and good taste. Comatose is also a good one to try out. Good burn stellar taste and clean smoke. This site has the best products available in my opinion.